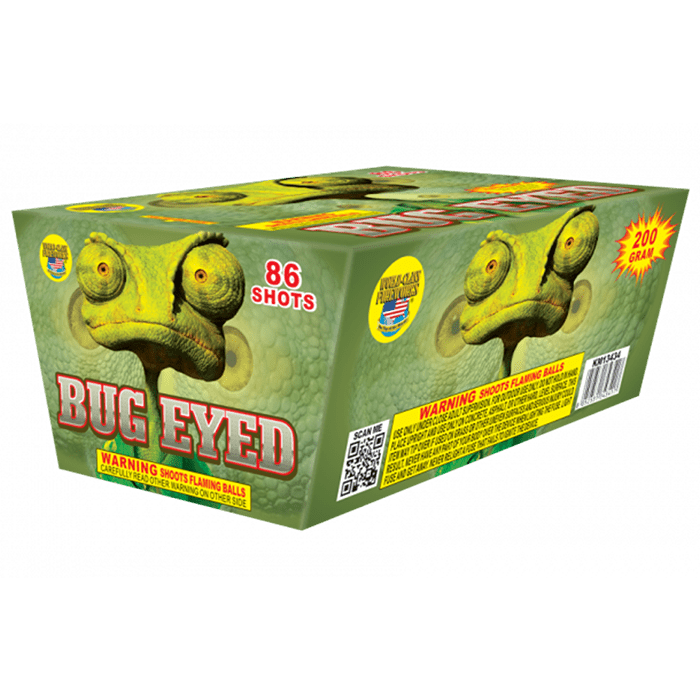 Bug Eyed – You won’t know where to look when you go with Bug Eyed! This 86-shot monster features red, green, yellow and gold bursts that whistle and explode into the night sky. No celebration is complete unless your audience goes a bit Bug Eyed! Baby Boomers - 16 shot- Gaint golden willows with alternating shots that scatter crackling flowers across the sky. This cake ends with a 5 shot finale.